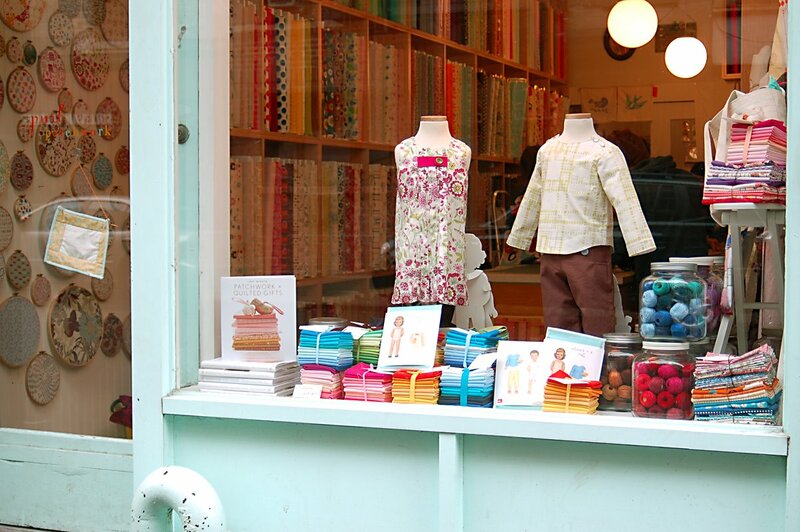 If you’re in New York, be sure to stop by Purl Patchwork on Sullivan Street to see their Oliver + S window display. 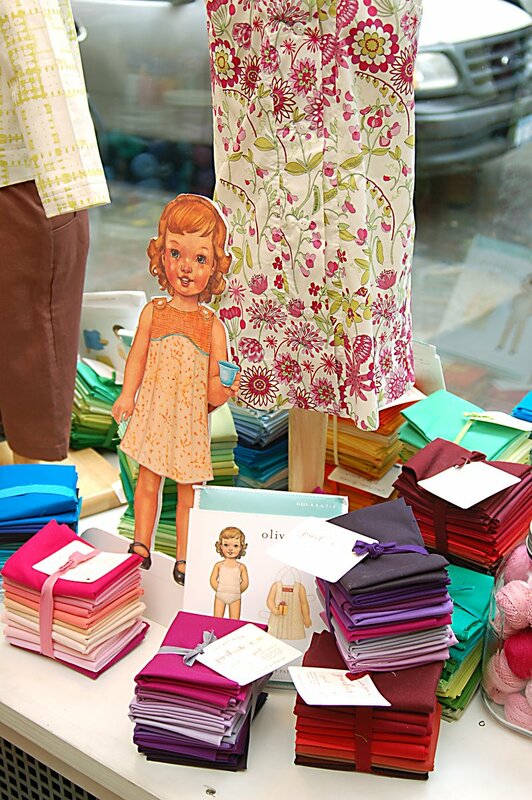 Purl is well-known for its outstanding selection of fabrics. The staff stocks beautiful Japanese prints, a wide selection of Liberty tana lawn, and a number of other exquisite offerings inside this jewel box of a shop. The Sailboat Top and Pants are made from a fresh architecture-inspired Anna Griffin print and a Kona cotton. 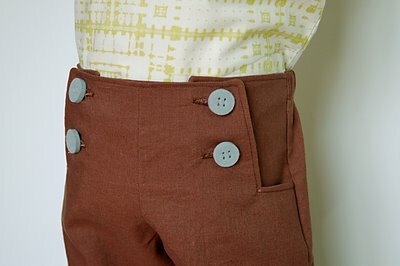 We raided the fantastic button selection at Purl’s yarn shop just down the street for the finishing touch. 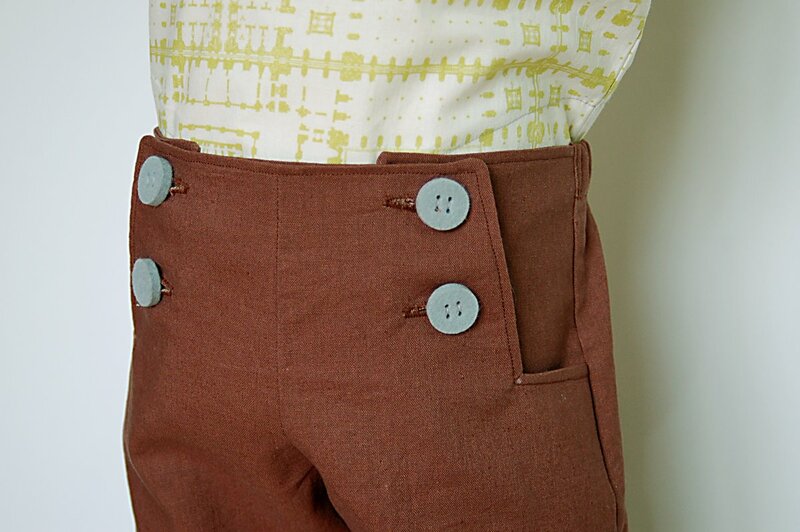 Those buttons on the pants are wool felt! And here are some views of the window from inside the store. How about those giant paper dolls? 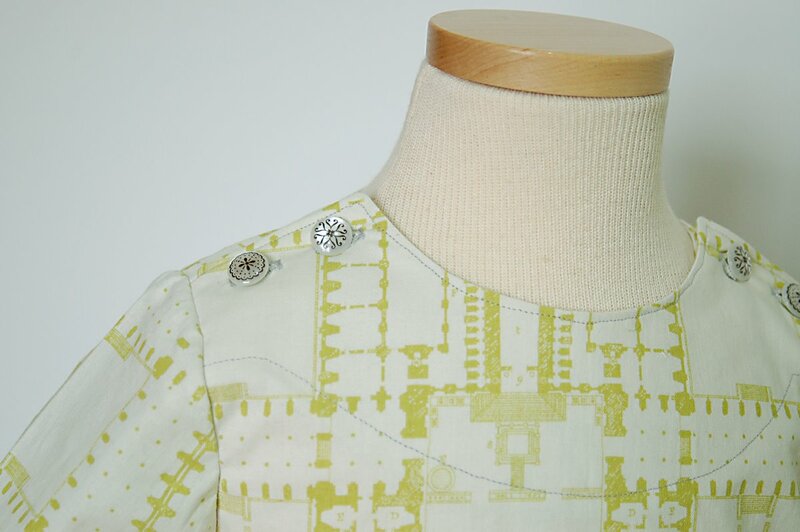 The dress looks sooo incredibly cute in that fabric. I can see why it went so quickly. I wonder if they’ll order more? 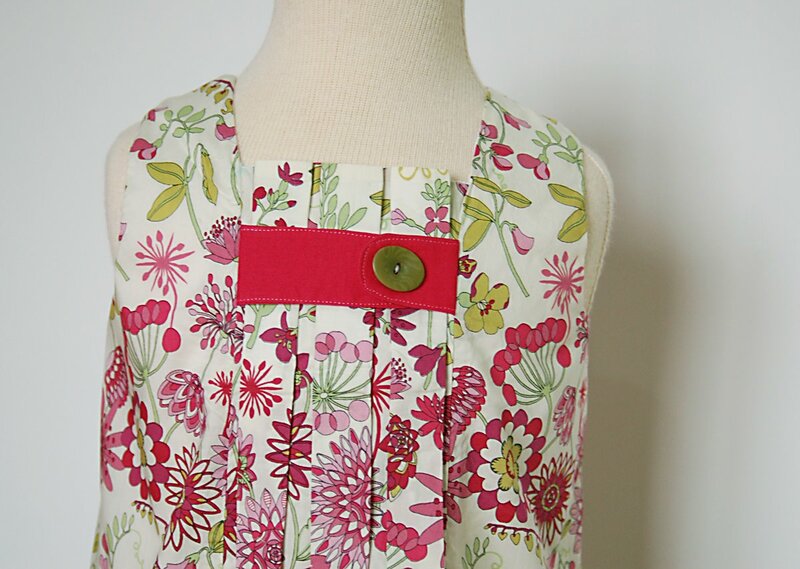 I think Purl is trying to get more of the Liberty print, so check back with them soon. I know they’re doing their best. 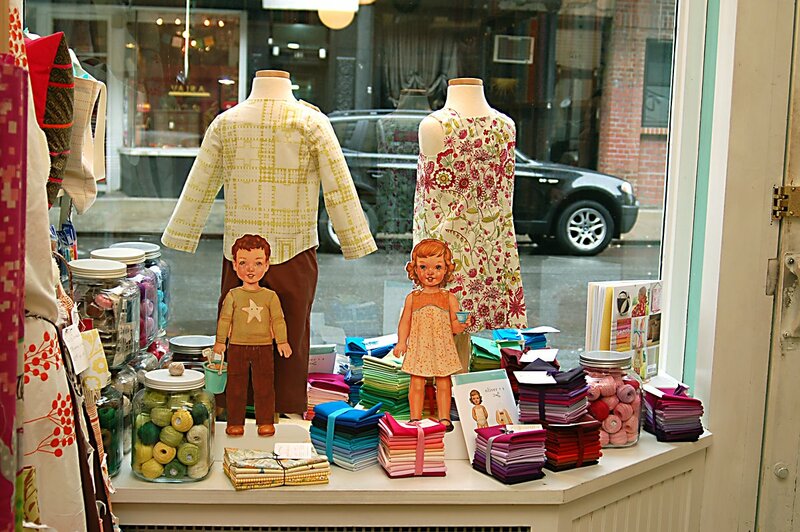 I wish that I could visit the Purl right away….They really gave the oliver + s clothes the space that they deserve. Beautiful!! Great display. Window shopping at it’s finest. I only wish I could be there to hear the cars rushing by. The fabrics look amazing and the giant paper dolls are so fun! Great job!! Oh, how happy! 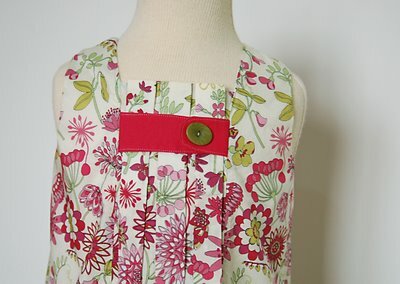 I love those felt buttons…and that dress looks fab in that fabric.